A high-stakes brinkmanship over whether Brett Kavanaugh's accuser would testify before the Senate Judiciary Committee came to a momentary standstill as GOP Chairman Chuck Grassley gave Christine Blasey Ford more time to decide on the terms of her appearance. The late-night back-and-forth on Friday left in question whether Ford will appear before the GOP-run committee and describe her allegation to millions of voters. In a late-night tweet, Grassley said he "just granted another extension." "I hope u understand," he wrote just before midnight, in a comment directed at Kavanaugh. "With all the extensions we give Dr Ford to decide if she still wants to testify to the Senate I feel like I'm playing 2nd trombone in the judiciary orchestra and Schumer is the conductor," he added. He did not, however, say how long he would wait for Ford "to decide if she wants to proceed." Aides did not respond to requests for more information. On Friday, Ford's lawyer, Debra Katz, requested another day to decide and said the "sole purpose" of Grassley's deadline is "to bully Dr. Ford and deprive her of the ability to make a considered decision that has life-altering implications for her and her family." Katz said the deadline was "arbitrarily imposed." "The imposition of aggressive and artificial deadlines regarding the date and conditions of any hearing has created tremendous and unwarranted anxiety and stress on Dr. Ford," Katz wrote in a letter to Grassley. "Your cavalier treatment of a sexual assault survivor who has been doing her best to cooperate with the Committee is completely inappropriate." If Ford testifies against Kavanaugh, will it be a repeat of Anita Hill hearing? Earlier, Grassley had rejected proposals by Ford's attorneys that only senators interrogate Ford and that she testify after Kavanaugh testifies, not before. 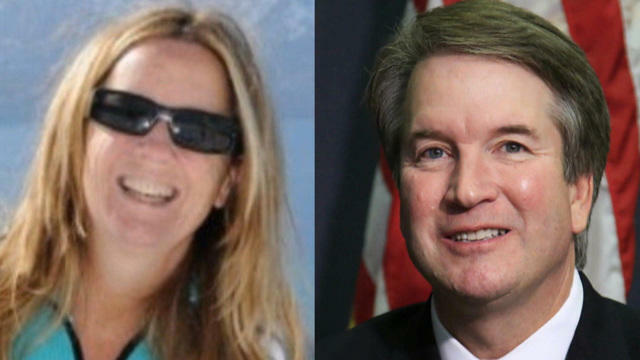 Grassley consented to other Ford demands, including that she be provided security and that Kavanaugh not be in the hearing room when she testifies. Ford's request for security comes after her lawyers said she has relocated her family due to death threats. For Kavanaugh, Friday was the latest in a string of tumultuous days. His ascension to the Supreme Court seemed a sure bet until Ford emerged last weekend and provided details of an alleged assault. Ford, a 51-year-old California psychology professor, says an inebriated Kavanaugh pinned her on a bed, muffled her cries and tried removing her clothes when both were teenagers in the 1980s. President Donald Trump and GOP leaders are seeking to usher the 53-year-old Kavanaugh onto the high court by the Oct. 1 start of its new session and before the November elections, when Democrats are mounting a robust drive to grab congressional control. In backing away from his earlier deadline, Grassley underscored the sensitivity with which Senate Republicans have tried handling Ford. Less than seven weeks before elections in which Democrats could capture congressional control, moderate female voters will be pivotal in many races and the #MeToo movement has elevated the political potency of how women alleging abuse are treated. The committee's 11 Republicans -- all men -- have been seeking an outside female attorney to interrogate Ford, mindful of the election-season impression that could be left by men trying to pick apart a woman's assertion of a sexual attack. On Friday, President Trump ended a week of constraint and sarcastically assailed Ford, tweeting that if the episode was "as bad as she says," she or "her loving parents" surely would have reported it to law enforcement. Mr. Trump's searing reproach of the California psychology professor defied the Senate Republican strategy, and the advice of White House aides, of not disparaging her while firmly defending his nominee and the tight timetable for confirming him. Senate Majority Leader Mitch McConnell drew a standing ovation when he assured a gathering of evangelical activists that the conservative Kavanaugh would soon be a justice.